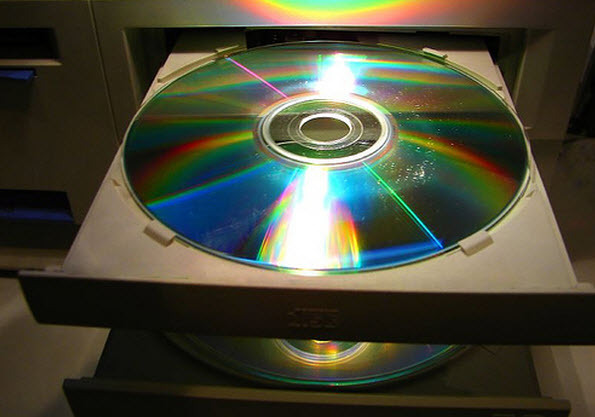 There may be a time when you have an ISO image and you need to burn ISO image file to DVD disc for use in a computer or DVD player. You then need a solution to burn disc image to disc on Windows or Mac computer before you could enjoy disc image content on computer, DVD player or other devices. It’s easy to backup Blu-ray/DVD discs to computer hard drive or blank disc for multiple uses since there are so many Blu-ray backup and DVD copy apps that handle Blu-ray/DVD disc backup. However, to burn disc image to disc is not as simple as disc to computer backup. Many apps support to backup Blu-ray movies from disc to computer or disc, but few of them support to backup movies from ISO file to disc. In this guide, you will learn detailed and effective solutions to burn disc image file to Blu-ray/DVD disc on Windows and Mac. If you simply want to store ISO image file on blank disc, or you’re not going to burn disc image to a bootable disc or plan to enjoy disc image content on a player, it would be quite simple for you to burn disc image to disc. You could directly transfer ISO image file to blank DVD/Blu-ray disc via copy-and-paste. It should be noted that this method is only applicable to storing ISO image file on disc, producing neither bootable nor playable disc. Insert a writable disc into the disc recorder drive. Make sure the inserted disc is big enough to store disc image file. Locate source ISO image file. Right click source ISO image file and then click the "Copy" option on the right-click menu. Right click a blank place on the disc recorder drive and then click "Paste" option. ISO image file would be pasted and stored in inserted disc. Windows users needn’t worry about burning disc image. 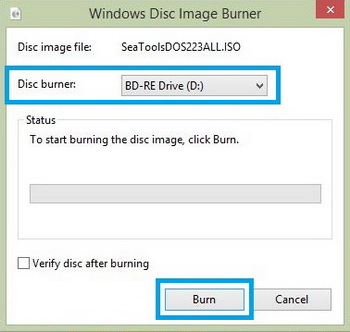 Microsoft has already built an image disc burner in its operating system, known as Windows Disc Image Burner. This Windows Disc Image Burner could actually create bootable and playable CD/DVD disc easily. But on differrent Windows operating systems, the disc image burning procedure is different. Insert blank writable disc into the disc recorder drive. Locate your ISO image file and then righ click it. You could see a "Burn disc image" option. Click it. On the popup "Windows Disc Image Burner" window, select inserted disc drive in "Disc burner" box. 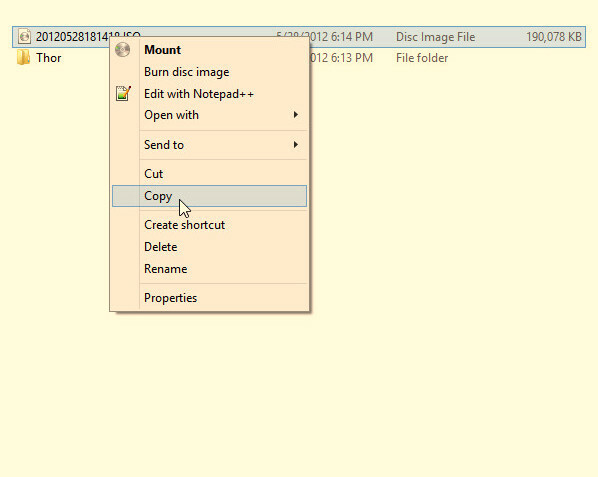 Click the bottom right "Burn" button to start burning ISO image file to disc on Windows 8/8.1/10. #1. Insert a blank CD in your CD-RW drive. #2. 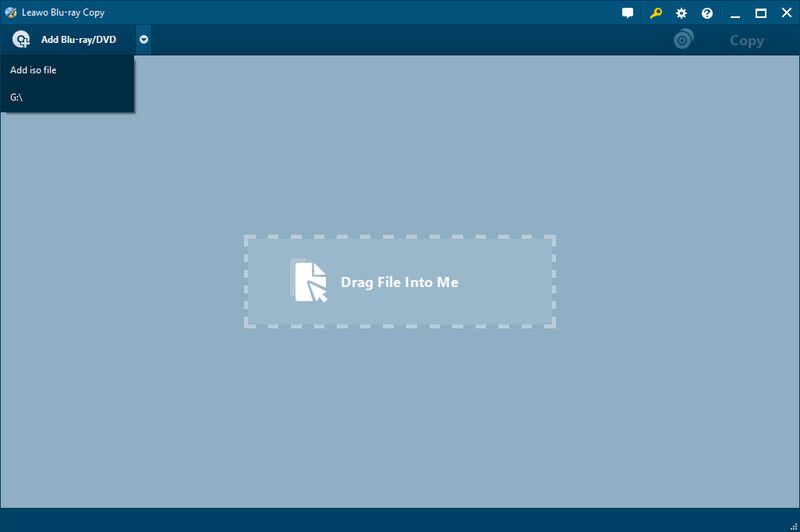 Navigate to the folder where you saved the file. #3. 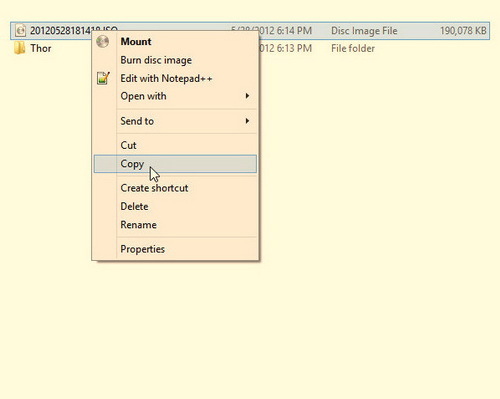 Click to highlight the file (Windows 7/Vista) and/or right-click on the file (Windows 7 only) to see the options for creating a disc. 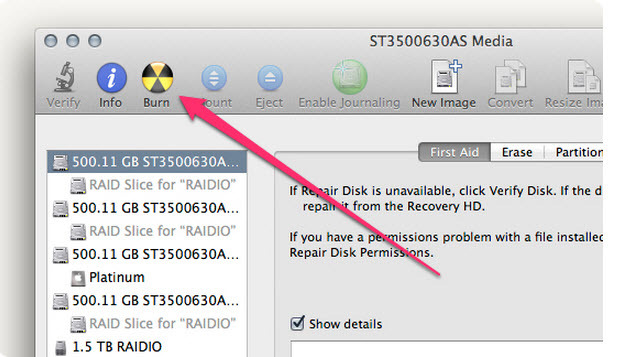 Apple offers a utility to help Mac users easily burn disc image to bootable disc. That’s Disk Utility. It could be used in many ways for multiple purposes. Mainly, it could create, convert, backup, compress and encrypt logical volume images from a wide range of formats read by Disk Utility to .dmg or, for CD/DVD images. With Disk Utility, Mac users could easily burn ISO image file to bootable or playbable discs. 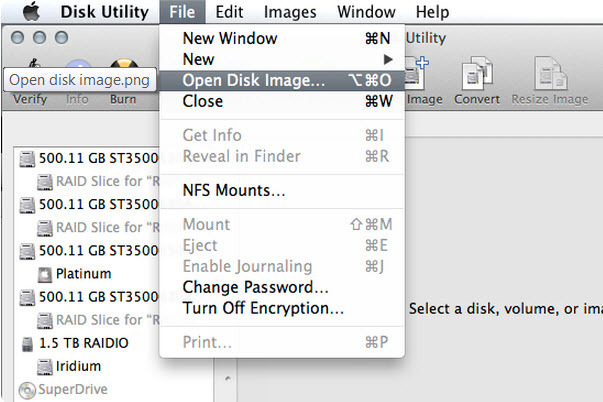 Follow the below steps to learn how to burn disc image on Mac with Disk Utility. 1. Insert a writable blank disc into the disc recorder drive. 2. Launch Disk Utility. 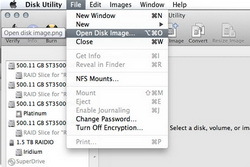 Click the "File" from Disk Utility menu and then select "Open Disk Image" option. 3. 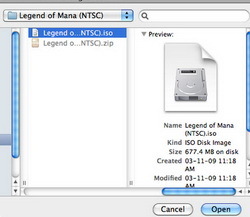 Browse source ISO image file and then click "Open" to add source ISO image file into Disk Utility. 4. 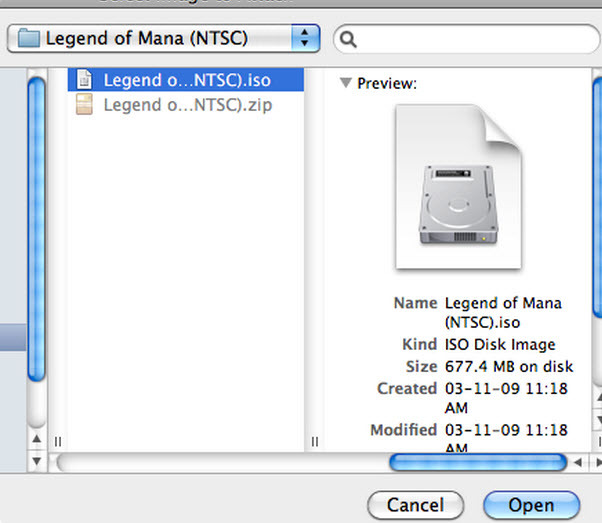 Select ISO image file from the left panel and then click the "Burn" icon to start burning disc image to disc on Mac. Note: Navigate to Finder > Applications > Utilities > Disk Utility (or from the Finder, just press Command(⌘)-U to open the Utilities folder) to open Disk Utility. Windows Disc Image Burner and Disk Utility offer quite effective solutions for burning disc image to disc. However, these apps actually are not easy to find. If you insert a rewritable disc, you may find that these apps couldn’t help you clean the RW disc. Therefore you may not be able to burn ISO image file to disc. A better ISO burner with easier to use interface is recommended. That’s Leawo Blu-ray Copy, an ISO Burner that can directly burn ISO image file to DVD-R, DVD-RW, DVD+R, DVD+RW, HD DVD and Blu-ray Disc, no need to mount any "virtual drives" which emulate physical CDs or DVDs. 1. Insert a blank writable disc into the disc recorder drive. 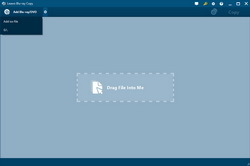 Drag and drop your ISO image file onto Leawo Blu-ray Copy. 2. On the popup "Add iso file" interface, set "Copy to" and "Disc Label" options.